[In response to today’s extreme social/political polarization, I’ll be writing a series of articles over the next year that take front-page-news issues and address them from a big-picture, systemic perspective—from above the partisan fray. My intent with this series is not to get people to be kinder to each another — though that would be a nice side benefit. Rather it is to help make clear that questions of all sorts today are requiring of us greater maturity and perspective, this just if we are to ask them usefully much less arrive at effective answers. Attempts to craft effective immigration policy increasingly result in polarized debate that goes nowhere. Often the result is not just confusion and poorly thought out policy, but the perpetration of real harm—from both sides. From one side, short-sighted exclusionist policies can do harm to those who might seek to immigrate. Such policies also often do harm to countries that might be rewarded by the contributions immigrant populations have traditionally made to their new homes. From the other side we find those who assert that borders are important getting labeled as racist. While bigotry can play a role when borders are emphasized, the best of such response is not racist. Whatever the case in a particular situation, the basic observation that attention to the kinds of borders we want is essential to good policy is valid—and important. What is needed if we are have more useful debate? I think of three key recognitions. None is ultimately complicated. But each requires nuanced perspective to fully grasp. First, we need to think more consciously about borders and conceive of them more dynamically than in times past. A cell makes a good metaphor. Cells are alive because they have boundaries—cell membranes. Without a membrane, the cell would die. But to complete this first recognition—and the metaphor—we also need to include a critical property of living boundaries. Cell membranes are “semi-permeable.” Just as much, if the membrane is only a wall, the cell would die. Cells are most vital when the balance between the cells membrane’s “yeses” and “noes” are just right for the context in which it finds itself. Similarly, individuals and societies are most vital and creative when the balance is “just right” for who they are and their particular situations. The second recognition is key if our boundary-related conversations are to be at all productive. Different people, by virtue of temperament are more attuned to the “yes” or “no” aspects of any kind of boundary. A detailed look at temperament/personality is beyond our scope in this short piece, but a few simple observations provide a start. People who think of themselves as liberals are most likely to identify with the yes aspect of semipermeability. “Openness” is an important value. People who think of themselves as conservative are most likely to identify with the no aspect of semipermeability. They find particular importance in safety and in bonds with family and community. While they also value openness, it is openness within those bonds that is important to them. Such openness requires vigilance with regard to just who gets let in. Either group will tend to polarize if it feels threatened—something we see increasingly with the immigration debate. From the Left we get views that denigrate anyone who might advocate for more solid borders. From the Right we find views that see openness to immigration as naive and elitist. Either position perpetrates its own kind of violence—and not just toward those who might disagree. Like with the cell and its membrane, absolute openness and or no openness at all are each, in the end, incompatible with life. If our border-related debates are to be at all civil—and certainly if they are to result in effective policy—we need to appreciate how the positions of each side reflect an important aspect of needed understanding. The third recognition expands on the observation that the right kind of border policy may be very different depending on the situation. We must learn both to better tease apart how different contexts are different and to better understand how different contexts may call for different kinds of boundary relationships. *A conversation I had recently with a valued colleague who lives in London highlights this further recognition. My colleague had contacted me because he felt that an article I had written that made reference to immigration policy had had an unacknowledged liberal bias. He had been a supporter of Great Britain separating from the European Union. A primary reason for that support had been that he saw the European Union unwilling to limit immigration in ways that he felt necessary for Britain’s well-being. He also felt denigrated and misunderstood for his position. It was fascinating to compare our experiences. Immigration is central to the American story. We are a country of immigrants. And immigration in my home state of Washington has been almost wholly positive in its influence. That doesn’t mean we haven’t had controversy. But we would not have a thriving apply industry or a vital high tech industry in the state if it were not for immigration (and much of it historically illegal). In contrast, my colleague lived in a part of London that had become largely immigrant. It was not this that bothered him as much as the fact that an increasing number of new arrivals seemed to have little interest in integrating into the larger culture. I don’t think it appropriate to assume that the job of newcomers in simply to assimilate—immigrants have always brought with them new colors and flavors of experience and transformed their new homelands in the process. But my friend is an extremely intelligent and open-minded person and what he described indeed seemed a cause for concern. He said it felt that the new immigrants were often antagonistic to their new home—and at the extreme interested in doing harm to it. Given current world circumstances, the right response would indeed seem to revisit existing immigration parameters. In reflecting on these three recognitions, it is important to appreciate that much in what is being asked of us is new. Being this conscious and responsible in how we think about borders is not something we are used to. We also aren’t accustomed to reflecting this deeply on personality differences, and certainly on how such difference can benefit us. Similarly, we are not used to thinking this contextually, to examining how what is true in one situation may not be in another. If we miss how much in what is being asked of us is new, we can easily misconstrue the task or become overwhelmed by it. At the same time, these recognitions present what might seem a paradox. The task they describe need not be as complicated as we might assume given the controversy—and pain—that today so often accompanies the immigration debate. Earlier I noted that each of these recognitions is ultimately straightforward. Step back sufficiently and each seems rather common sense. While each requires that we think in new ways, the common sense nature of what they ask is equally important to acknowledge if we are to get beyond polarized debate and make choices that ultimately benefit us. We could stop there—and for most readers that is probably enough to think about. But deep understanding and the practical tasks of policy require further reflection. We need to better understand why border-related questions are requiring new, more sophisticated kinds of understanding. We also need to look in more detail at the kinds of discernments needed to if we are to effectively make the needed, more nuanced boundary determinations. A quick, big-picture look at the history of borders provides a good way in. At the very least, historical perspective helps us appreciate boundary as a critical concern. It also directly reinforces the observation that right boundary relationships depends on context—in this case on when we look. In addition, it helps us make sense of just what is changing today and why. I often use historical perspective as a starting point for making sense of the new kinds of understanding questions of all sorts today are demanding of us. In tribal times, we didn’t need to give boundary much thought. It is not that boundaries were not important—indeed quite the opposite. But to a degree that can be hard to grasp from our modern vantage, tribal groups often lived in separate realities. We see evidence of this in how even groups that have lived in close proximity often have wholly different languages. In modern Papua New Guinea, a place where tribal bonds are often still strong, we find over two hundred separate languages. From the early rise of civilizations through the Middle Ages, we became more explicitly concerned with boundary. Increasingly we ventured beyond our borders, some for trade but also for conquest. This meant sometimes letting boundaries down. But it also became increasingly important that boundaries when needed could be made “hard and fast.” Castle walls and impenetrable armor symbolize this newly appropriate relationship to boundary. The Modern Age brought further extension beyond past bounds. We witnessed the “age exploration” and later, with the industrial age, growing commerce between the world’s peoples. Relationships between countries became more interactive and immigration became more common. These changes didn’t preclude hard boundaries. We continued to most often see the world in terms of “chosen people” and “evil others.” And it certainly didn’t mean that immigrants tended to be welcomed. I think of the extreme prejudice my Irish ancestors suffered on first arriving in the United States. But we came to better recognize how boundary permeability could provide benefit. Over the last century boundary realities have continued this basic evolution. Global communication and transportation combined with a diminishing of the past’s extreme nationalistic tendencies has brought ever-greater flow both of commerce and of people. As travel between countries has become increasingly common, so has immigration. Sometimes this was economic immigration in search of opportunity. Other times it was immigration as a response to conflict and oppression. Which brings us to today. In general, this further evolution has been a good thing. But it has also brought new kinds of tensions. Certainly not everyone has benefitted equally from these changes. While the more privileged have generally prospered, those further down the economic ladder have often suffered, sometimes badly. This circumstance combines with today’s highly polarized political climate, to give us the kind of angry populism—with little capacity for communication or compromise—that so often now defines the social landscape. It is not surprising that both global trade and immigration can today provoke such strong emotions. Is this the end of the story? Usual thinking would suggest that it is. We tend to assume that contemporary beliefs and institutions represent ideals and end-points—as most cultures have with regard to their particular beliefs. But if this is the story’s conclusion, our future will not be bright. Much of my life’s work relates to the observation that there is no reason to assume that we are at an end point. Creative Systems Theory’s framework for understanding how human systems grow and change describes a predicted further chapter in culture’s evolutionary story—a needed, and increasingly possible, “growing up” as a species it calls Cultural Maturity. Cultural Maturity is a big-picture/long-term notion. We saw first hints of its changes over a hundred years ago and the concept should have pertinence well into the future. But the notion is also relevant to understanding current challenges and possibilities—including immigration. Cultural Maturity’s changes predictably add a further chapter to boundary’s evolutionary story. This new chapter produces two almost opposite-seeming kinds of change. It further extends our outward reach. It also produces a new appreciation for the local and particular. We become even more connected globally and in the process more appreciative of the world’s rich diversity of traditions and beliefs. And at the same time we come to more deeply appreciate the importance of place and the more immediate kinds of human connectedness. We find a renewed valuing of neighborhood, city, region, and country. I’ve proposed that the practical tasks of policy require that we look in more detail at the kinds of discernments needed if we are to effectively make more nuance border decisions. We need to better understand what makes such new discernments new and now possible. And if we can identity some specific conceptual tools that can help us make needed dicisions, we are well on our way. Creative Systems Theory can help us on both counts. As far as understanding what makes needed new discernments new and possible, it describes it how the ability to make them follows directly from the cognitive reordering that gives us Cultural Maturity (see Integrative Meta-Perspective). 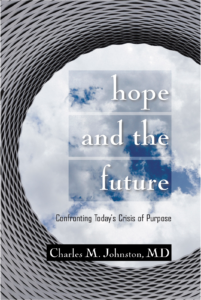 One result is understanding that is inherently more integrative—dynamic and systemic. Creative Systems Theory also provides a template for making needed discernments. The theory identifies three kinds of concepts that necessarily play a role when making choices that require systemic understanding. Each follows from Cultural Maturity’s cognitive changes. Applying them to the immigration question gets is a long ways toward where we need to go. Patterning in Time notions are developmental. They highlight how what is true may be different depending on when we look. When I reflected on immigration’s past, I was making Patterning in Time observations. We aren’t used to viewing history through an evolutionary lens and in certain circles such thinking is controversial. But doing so proves powerfully helpful. With regard to immigration, we’ve seen how it at least helps put today’s task in perspective. It also helps us appreciate some of the complexities. I’ve written about how we can best understand global terrorism as a response to the stresses that follow when cultures at different developmental stages collide (see Making Sense of Terrorism). I made reference to the second kind of tool when I spoke of how people with different personality styles are going to be more sensitive to the “yes” or “no” aspects of boundary. The theory calls such more here-and-now systemic differences Patterning Space distinctions. The Creative Systems Theory Personality Typology describes sixteen basic temperament orientations each of which can be understood in terms of balances between more left-hand and right-hand sensibilities. I often use it to guide me when I’m asked to bring together teams to address particularly complex and thorny issues. The typology helps us appreciate how deep our differences can be. It also helps us appreciate how those differences can provide guidance for working more collaboratively and thinking more systemically. Again, this kind of perspective is new to many people. But in a variety of sphere—in particular psychology and education—the importance of appreciating temperament diversity is becoming increasingly recognized. We also need to make what Creative Systems Theory calls Whole-Person/Whole-System Patterning discernments. One such “integrative measure” provides the necessary starting point when making systemic choices. We must first identify what, in the most encompassing sense, we wish our actions—in this case our boundaries—to accomplish. Creative Systems Theory calls this answering the Question of Referent. The answer to the Question of Referent when it comes to borders? We must learn to make border decisions based on the degree our choices are consistent with ultimate benefit to society—using our cell image, to the degree they most “support life.” While we necessarily lack objective measures, recognizing what ultimately we wish to measure helps avoid making choices based only on ideology. The concept of Capacitance also helps us make particular immigration choices. A potential immigrant is most apt to contribute to a society’s Capacitance if they themselves have a certain basic Capacitance. In a crude way, Capacitance is what we are attempting to measure when we exclude people with criminal records or give preference to people who are more educated. But I emphasize “crude.” For example, a person with very little education might have quite high Capacitance. In thinking about borders, we encounter systemic Capacitance-related dynamics that can catch people by surprise. For example, there is nothing in these observations about Capacitance that precludes a humanitarian welcoming of an oppressed population that might initially seem to have little to contribute. The easily missed piece is that the act of welcoming can itself foster an increase in societal Capacitance. The concept of Capacitance assists us in another way, by helping us understand extreme polarization. Earlier I observed that people of any ideological persuasion can polarize “if they feel threatened.” The concept of Capacitance lets us be more precise. When systems of any sort are pushed beyond their available Capacitance, they tend to polarize. Polarization is a protection mechanism—the absoluteness of belief keeps further challenges to Capacitance at bay. The specific forms that protective polarizations are most likely to take in particular situations are predicted by Patterning in Time and Patterning in Space differences. I should note a further Patterning in Time observation that is both pertinent and appropriately controversial. I’ve left it for last both because it draws on multiple concepts and because it requires great care if it is not to be misused. It follows from the recognition that cultural stage and Capacitance are related. Because of this, there is a better chance that a person will thrive and contribute in a modern cultural context if they come from a culture that is itself modern. Again, that doesn’t mean there are not major exceptions. A person from another modern culture may have very low Capacitance and present real danger. Conversely, a person from a culture that resides at an early cultural stage may have exceptional Capacitance, and precisely because of the context they come from have an exceptionally important contribution to make. *While this further observation can easily used to justify racist policies, it is important that we at least recognize when culture stage differences exist. Earlier I proposed that the most important causative factor with terrorism is the collision of cultural beliefs born from different cultural stages. Where in a particular situation that collision plays out strongly in a person’s psychology, that is a legitimate cause for concern. Cultural stage differences can push a person beyond their Capacitance in ways that produce not just polarization, but difficulty finding any healthy way to be in the immigrant’s new home. Making such complex boundary-related decisions asks a lot of us. As always when making decisions that involve a complexity of systemic considerations, simple laws, policies, and tests represent crude tools at best. And the fact that such decisions today ask us to think in new ways is no small matter. Even with the new kinds of tools I’ve described, our decisions can only be of the “good enough” sort. But limitations acknowledged, we can make good choices only to the degree we make them conscious of the kinds of distinctions we ultimately need to be making. The apparent paradox I mentioned earlier is one we find whenever culturally mature perspective is required. We can’t escape that I’ve described is a lot to take in. And at the same time there are ways in which what is being asked of us is more straightforward than what we have known. From a more systemic vantage, the din of partisan ardency can begin to subside. As it does, choices become more simply pragmatic. They ask only that we do our best to make the decisions that best support vital and healthy societies. In the end, the task is common sense. Again, think of that cell and the importance of getting the yeses and noes just right. The needed common sense is necessarily of a more demanding sort than what we are used to. 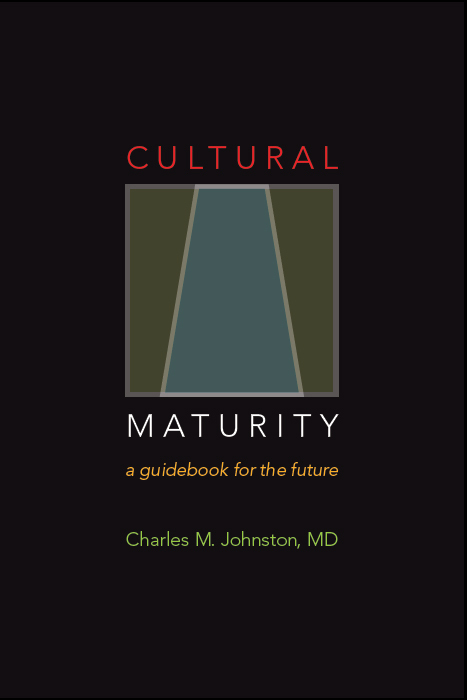 But if the concept of Cultural Maturity is accurate, the challenge is not unique. Bringing systemic perspective to the immigration challenge is but another part of the more general “new common sense” needed today in all parts of our lives.